Do you ever feel you don’t have time to do anything – because you are too busy doing everything? I’m feeling that way this month. I’m participating in Picture Book Idea Month (PiBoIdMo) – reading inspiring daily posts from authors and illustrators on Tara Lazar’s blog and trying to come up with at least one sparkling spark of an idea for a new picture book story. It’s going pretty well…I’ve got way more than 15 ideas – and the month is only half over. I’m also taking Mira Reisberg’s Illustrating Children’s Picture Books because I had a crazy idea that maybe one day I might be able to illustrate my own stories!!!! Last week I had to create thumbnails for one of my stories – a kind of a storyboard with a small sketch for each scene. This week I had to develop some character sketches for my main character, a little boy who wants to catch a bug to be his pet. I’m putting my work up here to encourage every person who reads this post that it is okay to try things that are out of your comfort zone – you won’t break the world, your computer, or yourself – and you just might discover something that you love doing! Now, if you can all stop rolling on the floor in laughter, I can continue with our Perfect Picture Book Friday book review and craft activity. Today I have a triple decker treat for you. Parents and teachers are always looking for picture books that do a great job helping kids develop empathy and compassion. Well, here are three unique books that use photographs of Bonobo monkeys to tell the stories. Author Anne Paris is a Clinical Psychologist and empathy expert. She is in private practice in Cincinnati, Ohio, and works with individuals and families. “Hi there! My name is Laney. This is me and my mommy when I was a baby. I feel special and safe when my mommy holds me. We are bonobo apes (that’s buh-noh-boh) and we are a lot like you. We just have more hair. 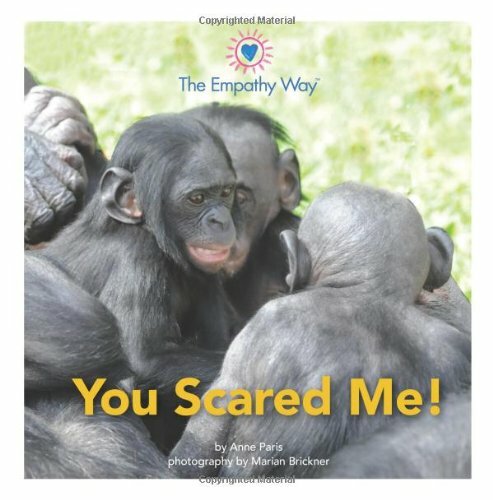 From Amazon: Laney the bonobo introduces young children to the concept of empathy: what it is, why it’s important, and how to do it. She shows how empathy feels good, builds good family and friend relationships, and how empathy goes two ways, back and forth. Cute pictures of bonobo apes engage and delight young and old alike. Role play different situations – if you thought a friend was mad at you, for instance, how would you feel? What could you do? At the back of the Dr. Paris’ first book is an empathy wand craft that you can help your child cut out. 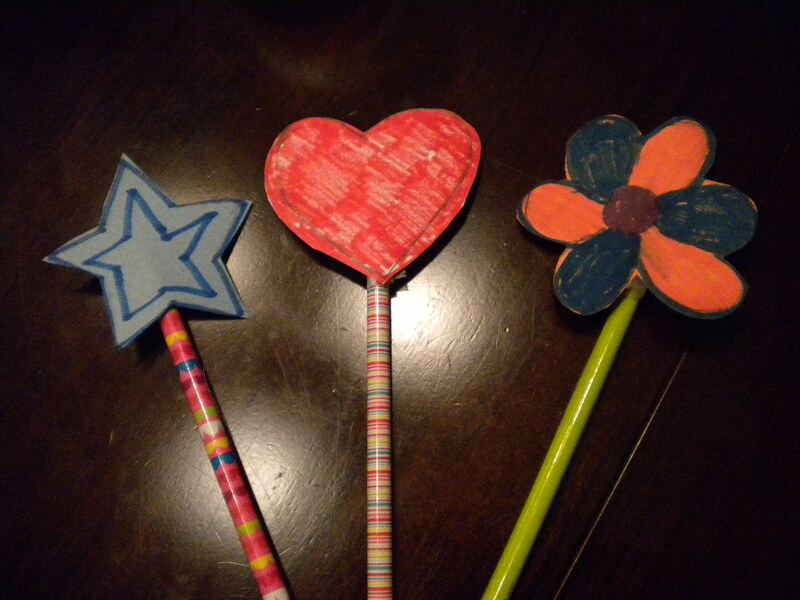 Here are three that are quite simple to make…all you need is a pencil and a piece of construction paper and some markers or crayons and a tiny piece of scotch tape. Let your child decide what he or she would like at the top of the wand. Draw the shape, color it in and cut it out. Use a small piece of scotch tape to attach the cutout to the pencil. Paris suggests that the child use the wand to think about how other people are feeling or when he wants others to know how he is feeling. From Amazon: Jenga and Laney are playing and minding their own business, when a bigger bonobo, Neeley, starts to harass them. Expressive photographs of bonobo apes illustrate how it feels to be bullied, what kids should do, and how adults can intervene effectively. The adults use empathy to help Neeley understand the reasons for her bad behavior and how she can get her wish to feel big and important in less hurtful ways. 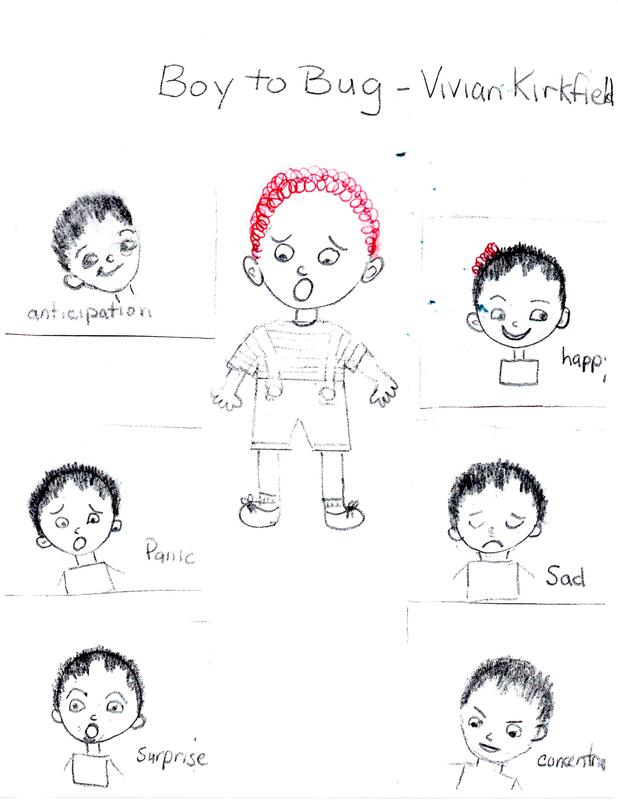 An important book in helping young children develop empathy in order to prevent bullying. 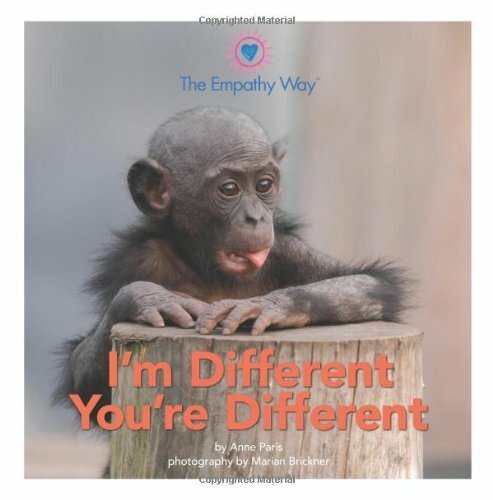 From Amazon: Jenga the bonobo teaches a poignant lesson about using empathy to connect with others who are “different.” Ridiculously cute photographs of bonobo apes illustrate the story of Jenga and Kaleb (a bald bonobo who looks different). At first, Jenga and his friends assume Kaleb is weird. But then empathy helps them move past their assumptions and get to know him. To their surprise and delight, Kaleb is funny and talented! Jenga and his friends discover a wonderful lesson about finding the secret value in everyone, even the outcasts. Laura is a multi-published author of picture books such as A Leaf Can Be and Water Can Be, as well as a well-spring of knowledge for writers. 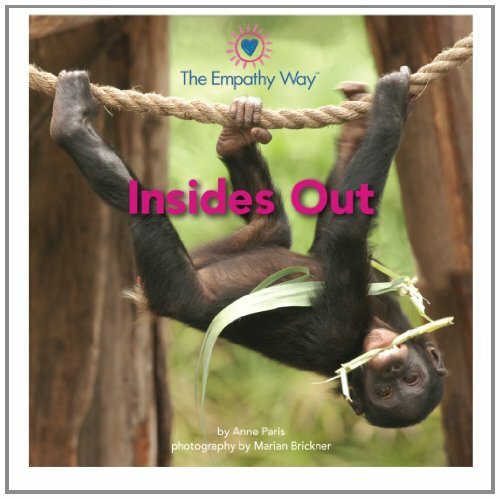 This entry was posted in Empathy, Perfect Picture Book Friday, PiBoIdMo and tagged Dr. Anne Paris, Drawing character sketches, Insides Out, Make a wand craft, Marian Brickner, Mira Reisberg's Illustrating Children's Picture Books, Susanna Leonard Hill by viviankirkfield. Bookmark the permalink. What a delightful series. Thank you so much for these reviews, Vivian. Love this post, and your illustrations are ten times better than mine would be. Good luck with PiBOLDMO. Hahaha…you are kind about the pictures! And I’m sure yours would far outshine mine, Sherry! Glad you like the books. 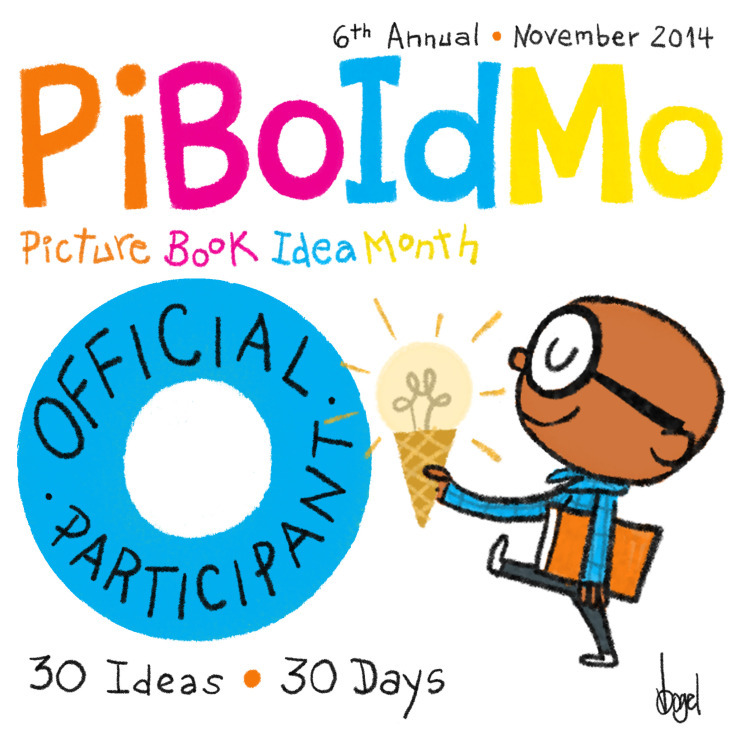 Are you participating in PiBoIdMo? I know you’ve got a lot on your plate right now. Love your sketches, Vivian! I know what you mean about having lots to do this month, but if anyone can do it, it’s you. After November, the holiday season will feel like a breeze for you! Looks like a great series – could have used these for resource photos last year! Vivian, your sketches are delightful. Thanks for posting them! And, thank you for sharing the bonobo ape books they look great. Please take care of yourself don’t work too hard! Well, you sure got all those facial expressions down! Good job! And those go along with your empathy theme! This looks like a fun series with a serious topic. Kids have such a hard time with that big word. Empathy. Thanks for sharing! I congratulate you, Vivian, for reaching beyond writing to try out illustrating! Your character’s expressions are spot on! They sound great, Vivian and I am thrilled you are starting to draw. I am terrible at children’s faces, only now starting to practice them. That’s partly the reason I started with animals 😉 Your faces already have so much character and they all look alike. I cannot draw two the same yet. Well done, Vivian! You draw VERY well, Catherine! What I see from the professional artists is that they often draw ‘loosely’ in a way I am afraid to draw…my hand wants to have too much control…even though I don’t know what I am doing. It would be better if I would just let the pencil move freely, I think. But I am really enjoying Mira’s class…so much provided in the daily lessons – not drawing per se, but about art and illustration. YAY – I love this empathy series! And the idea behind the empathy wand AND the empathy badges! Thank you, Vivan. Beautiful series of books and lovely review, Vivian. Boy! you are one busy girl! I love, love your drawings. Very clever, such a talent. great blog, i invite you to have a quick look at our new kids books called “calamity chick”. Thanks for stopping by my blog…I took a look at your books – I love that Calamity Chick has to deal with problems all kids can relate to…great job! The photography makes it lots of fun. if you want a can send you one copy ?